How do you ensure that you actually remember those jazz scale patterns you’re spending so much time learning in the practice room? How do you stop tearing your hair out with boredom and start practicing scale patterns in a more musical way? How do you practice scales efficiently to get best results in the shortest possible time? Check out the above video for the secrets revealed! Pro tip: If you’re looking for jazz standards to build your set-list, with all the resources and backing tracks in one place, it might be worth giving my FretDojo Jazz Guitar Academy a try. 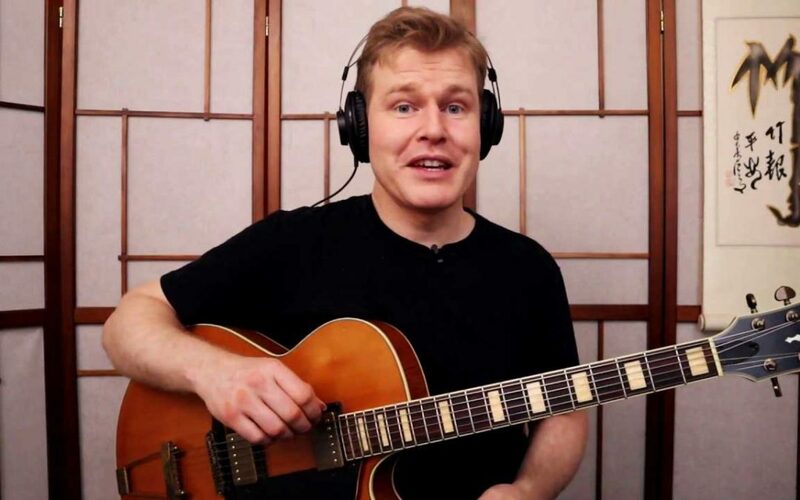 It’s got a huge collection of lessons on the site and features many courses focussed around learning classic jazz standards (melody, comping, soloing, chord melody and more). I hope you enjoyed today’s post on strategies for learning jazz guitar scale patterns. what tips can YOU share with your fellow readers? If you haven’t been playing your jazz guitar lately, and finding it hard to get back into a practice routine, then today’s post is for you. It’s not easy to maintain a jazz guitar practice routine. The pressures of life can easily disrupt the practice routine of even the most well-intentioned. There’s a simple approach to firing up your jazz guitar routine and getting back on track. It’s my ‘Three Day Set-List’ Method. Go back through your set list or song collection and choose 3 songs that you enjoyed playing in the past. This is going to be your “mini set-list” for the next few days. 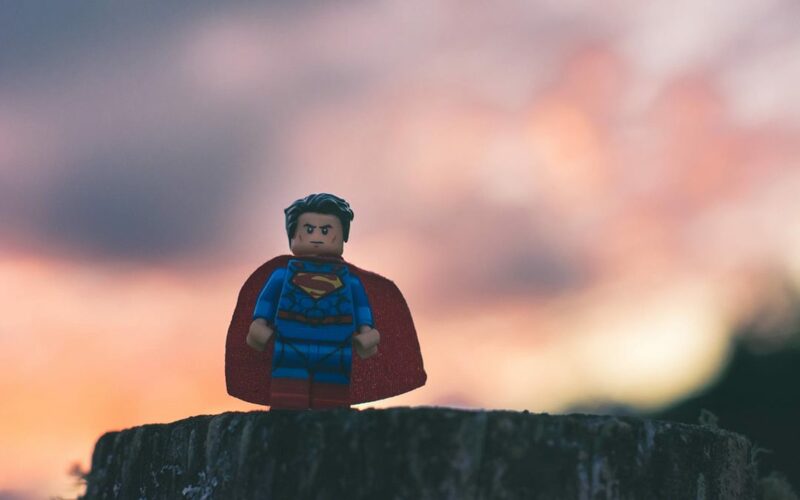 One of the biggest obstacles preventing you from kickstarting your practice again is when your tools and resources are hard to find. Your guitar is tuned and ready and waiting on a guitar stand (rather than in the guitar case). Get backing tracks for each of the songs you chose in Step 1, and assemble a playlist on your computer or audio player. (Hint: as a shortcut, my FretDojo Jazz Guitar Academy has high-quality backing tracks for loads of jazz standards at multiple speeds). Otherwise, find some backing tracks on Youtube or elsewhere. If you don’t have them already, get copies of the charts by looking online, or have your real book handy on a music stand. In a nutshell, I want you to be able to just go straight in your practice session without having to look for tracks or charts. It’s a great feeling to be able to walk straight into your room and begin your “set”. When you’re trying to get into a routine again, I find it works better if you don’t focus so much on the analytical and technical aspects of playing. Instead, what you should do for the first 3 practice sessions is to just “get in the thick of it” and start playing the songs again that you chose in Step 1, running them through as if you were playing your set at a gig. Don’t be too concerned if it’s all a bit rusty. I just want you to get started again making some music and not trying to get everything perfect. Put self-judgement aside! Rinse and repeat for each of the 3 tunes you chose earlier. That’s it! You’ll feel like you’ve made a strong start back into your playing. You’ll have the confidence of knowing you’ve got 3 tunes under your belt. You’ll have given yourself a general workout on the guitar and things won’t feel so rusty. You’ll have a good stock of material to develop specific soloing, comping, and chord melody approaches. You’ll be more motivated to practice jazz guitar regularly, and feel like you’ve “gotten over the hump”. By avoiding self-judgement, and simply committing to playing a set list daily for 3 days in a row, you’ll instantly have a set of tunes under your belt that you can improvise over a little. That’s a very satisfying outcome for just 3 practice sessions, and it will give you the confidence and encouragement to continue your studies. Often players start to lose interest in jazz because they get too caught up in analytical approaches, technique, and “trying to get it right”. In doing so they miss the heart center of jazz, which is beautiful melodies, cool harmonies, and a living rhythm. Once you have a solid set-list, it then becomes much easier to build more advanced approaches to soloing and so forth. If you don’t have a set-list, it’s hard to put the various jazz techniques you’re learning into context. It’s very important to make sure you have a set of tunes you can play with familiarity. If you’re stuck in a rut, I highly recommend you give this ‘3 Day Set-List’ method a try. I hope you enjoyed today’s post on this very important topic of re-kickstarting your practice routine for jazz guitar. 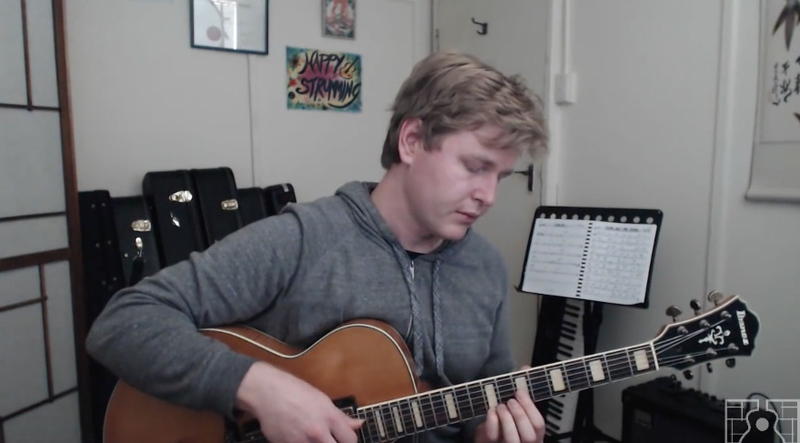 I thought it would be nice to play you a chord melody arrangement of After You’ve Gone, a beautiful jazz standard that works really well for solo guitar. Want to learn how to do jazz guitar comping like Ed Bickert? In this deep dive Youtube lesson, I share with you the 4 essential things you need to do to sound like him, which will supercharge your rhythm section chops (the lesson comes with PDF and audios of the examples played + backing tracks for practice – see the link above to get access). 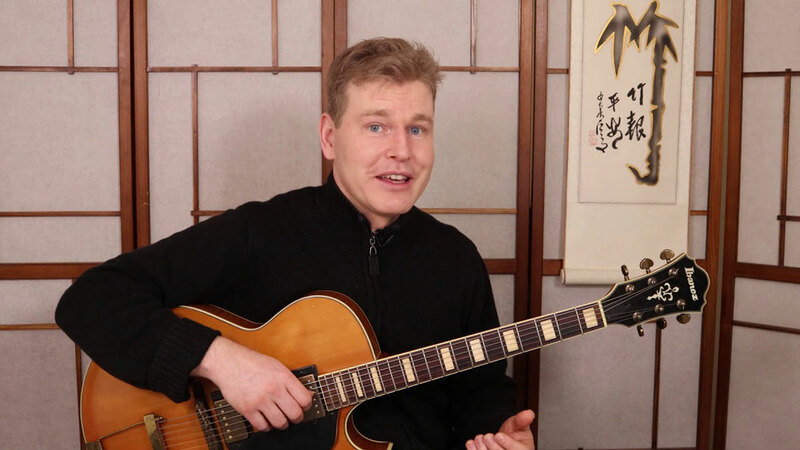 By the way, I recently released an in-depth course on the secrets of Ed Bickert’s jazz guitar comping approaches, so you can learn the fast path to sounding just like Bickert on the bandstand. Want to play a chord solo like Joe Pass? In this short Youtube lesson, I show you the method that I’ve used to incorporate some cool Joe Pass style chord licks into my playing (the lesson comes with PDF and audios of the examples played + backing tracks for practice). By the way, I recently released an in-depth course on Joe Pass single line and chordal style based on his approaches over his landmark recording of “Watch What Happens”, from the album Intercontinental. 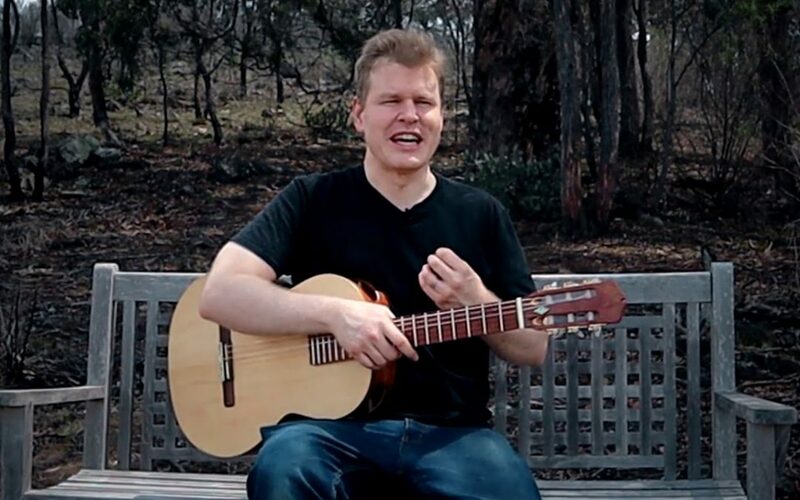 What happens when a jazz guitarist goes on a random bush walk to clear his mind? A sudden burst of insight into what most jazz guitarists are doing wrong in their practice, and the primary thing you should focus on instead. It might not be what you expect. Watch the video above to get a scoop.